While searching for an anniversary gift for my husband, I came across Terry Widner’s Etsy store Spoontaneous. At first glance, I was blown away by the beauty and elegance of his wooden spoons. 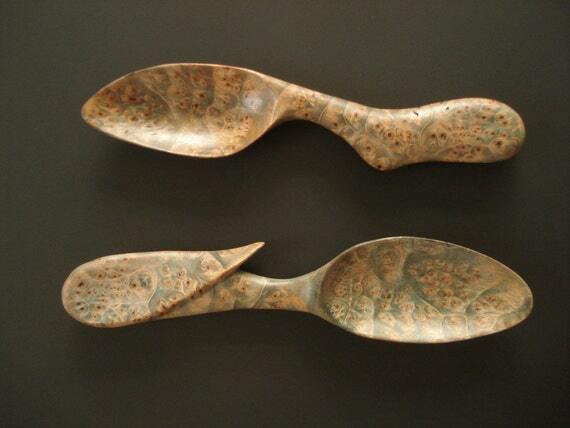 The grains, colors, curves and forms of these spoons took my breath away. I couldn’t help but going through every one of his creations. And I knew that I needed to talk to Terry. Judging by his museum-quality work and high-end photography, I thought I would be talking to a snobby artist. But Terry is one of the most down-to-earth people I have ever met. In fact, once he found out that I write about gifts, he was kind enough to give me gift ideas from his own experience with his wife and daughter, which I will detail in another post. Humor permeates Terry’s work. The one that he deems funniest is the Bi-Polar Bear, which has a smiley face on one side and a growling face on the other. My favorite is the Dieter’s Spoon that has spikes all over it. Terry’s online store is three years old, but it was only five weeks ago that he started becoming a full-time artist working in his own studio. Customers all over the world are noticing his talent. 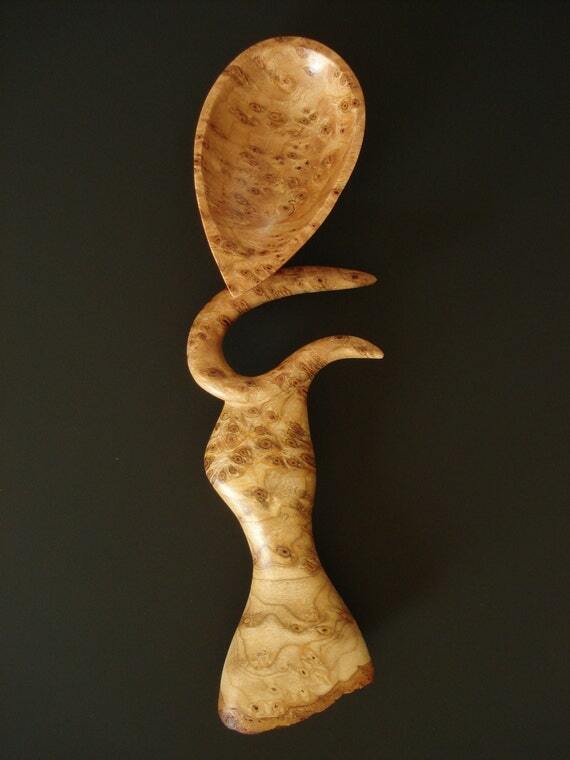 Some even send wood for him to create customized spoons, and request spoons in the shape of different animals. Now Terry is working seven days a week to satisfy the demand. Regardless, this Southern gentleman is still squeezing out time to create sculptures and spoons as gifts for his wife, daughter and siblings. Besides his Etsy store, you can also check out Terry’s gallery on his website.